The target down for minor wave 1 to end was at 19.47. Price has moved well below this target, so far to 16.89, 2.58 below the target. 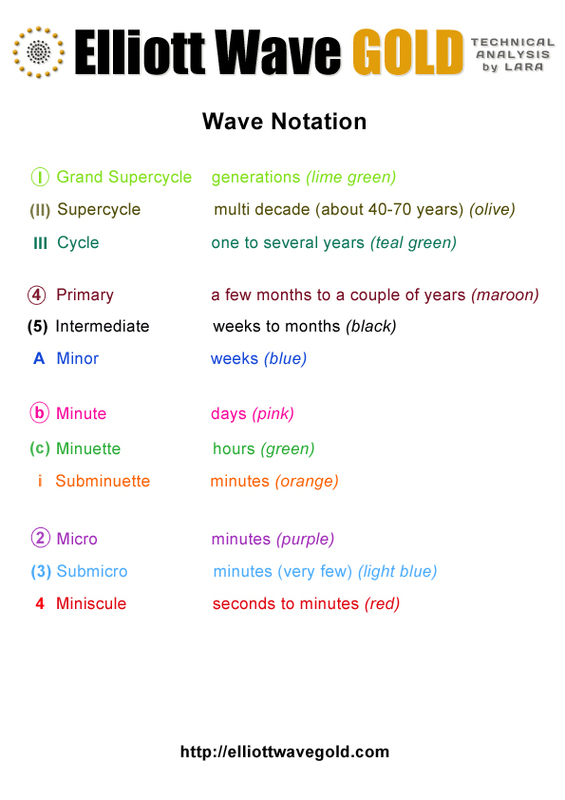 The structure for minute wave v is incomplete. A new target for minor wave 1 downwards is at 16.26 which may be met within one or two days. When that is done I expect upwards movement from GDX for a few weeks. Minute wave v is longer than expected and has passed equality with minute wave i. The next target calculated is where it may reach 2.618 the length of minute wave i.
I expect this final fifth wave down is almost complete. If Monday produces a small green candlestick for minuette wave (iv) that would give this wave count a perfect look. Minuette wave (ii) shows clearly on the daily chart, so minuette wave (iv) may as well. Minuette wave (ii) was a flat correction lasting three days. Minuette wave (iv) may be a more brief zigzag. Minuette wave (iv) may not move into minuette wave (i) price territory above 20.05. When minute wave v looks like a five wave structure I would expect a trend change at minor degree. At that stage movement above 20.05 would provide price confirmation of the trend change, as at that stage upwards movement could not be a fourth wave correction and so the final fifth wave should be over. I would expect minor wave 2 to last a few weeks. It may last a Fibonacci 13 or 21 sessions. It may end about the 0.382 or 0.618 Fibonacci ratio of minor wave 1. Lara – I’m hoping you get this resolved before trading day close tomorrow. Your analyses are helping us traders in more ways than you know! 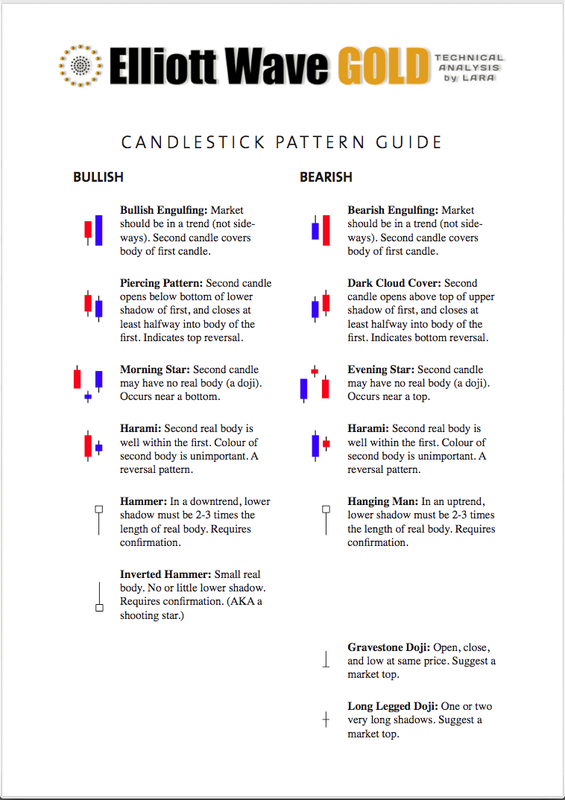 I’ll be updating my GDX charts with the last candlestick and publishing my analysis over this weekend. I just tried to update my GDX data. To date its worked fine. But today when I went through exactly the same process… this is what happened. Daily chart attached. Until I can resolve this problem I can not do any analysis of GDX. After Gold’s breach of 1,161 during Wednesday’s trading session and the alternate wave count becoming the new main wave count for Gold with a target of 993 for intermediate wave 3 within primary wave 5, does this now change the wave count and/or targets for GDX from the current $16.26 to a new much lower amount or do you think the GDX could move in opposite direction of Gold? Seems like a new wave count and/or targets for GDX could increase in probability as Gold looks to move much lower at this point. If so, would you be able to update the GDX today with a new main wave count and possibly an alternate wave count, if available? 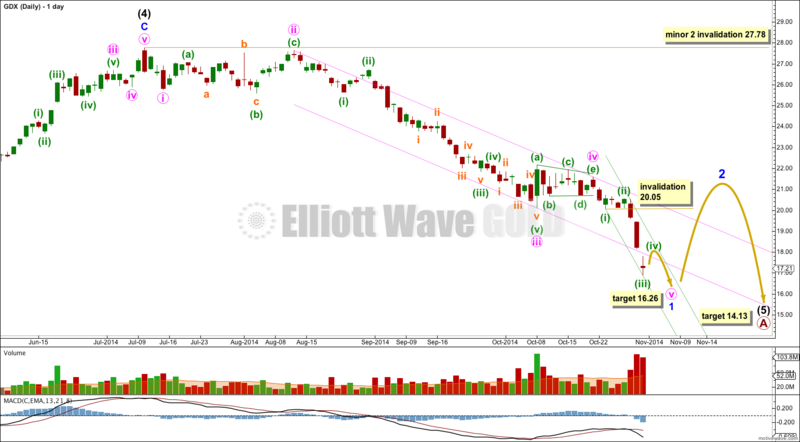 Also, what do you think the GDX minor wave 2 targets would be given Gold’s recent activity and new main wave count. Thanks and much appreciated.